Dogs arenÔÇÖt the only animals who can get heartworms. Your cat is unfortunately in danger, too. 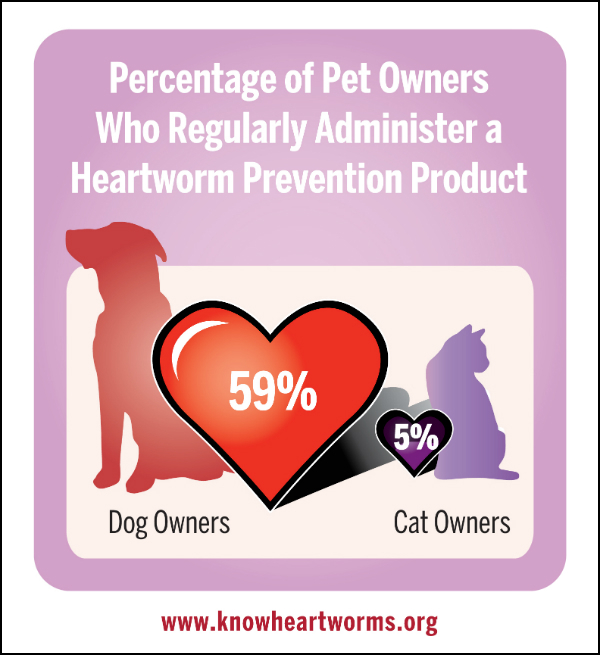 Veterinarians have made huge steps in educating dog owners about the importance of heartworm prevention. Unfortunately, the same can’t be said for cat owners. Despite the fact that the first documented case of a cat with heartworms dates back to 1921 in Brazil, neither veterinarians nor cat caretakers have thought of heartworm disease as a feline problem. Although veterinarians started becoming aware of the problem in the late 1980s, widespread understanding has lagged. When award-winning cat writer Dusty Rainbolt‘s cat, Nixie, began having odd respiratory symptoms that were eventually diagnosed as heartworm-related, Dusty began her own campaign to raise awareness among the general public about feline heartworm through Nixie’s Facebook page, Nixie’s HEARTworm BEAT. Her work also inspired this post. 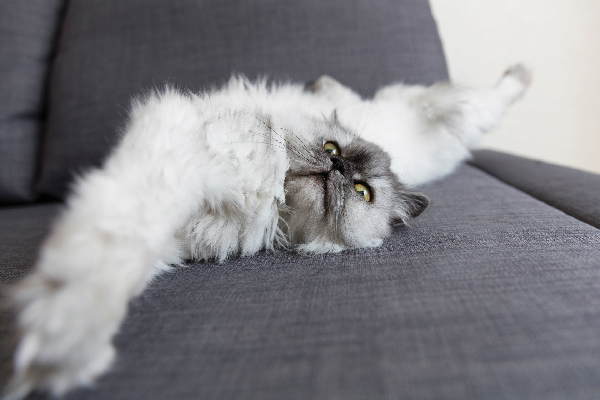 Here’s what you need to know about heartworms and cats. 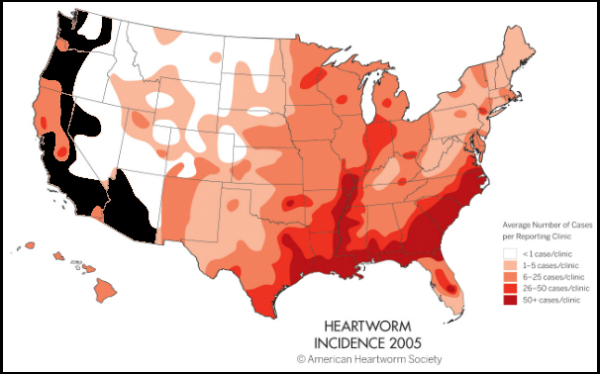 Heartworms are transmitted by mosquitoes, and if you’ve ever been plagued by the little buggers, you know they can get inside even if you have screens, never open your windows, and take every possible precaution. Thus, even indoor cats are at risk. 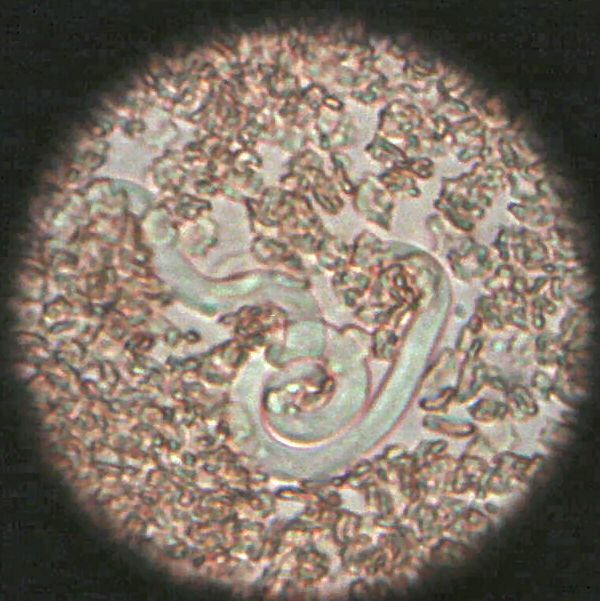 The bite of an infected mosquito releases heartworm larvae into a cat’s blood, after which they begin their life cycle. Cats typically have fewer and smaller heartworms than dogs. In addition, the parasites only survive two or three years in cats, as opposed to five to seven years in dogs. 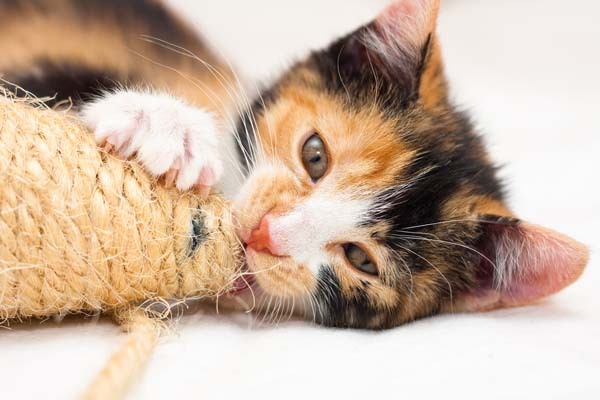 The percentage of larvae that mature into adults in cats maxes out at about 25 percent, whereas 40 to 90 percent of larvae in dogs survive to adulthood. "So, what’s the big deal?" you may ask. 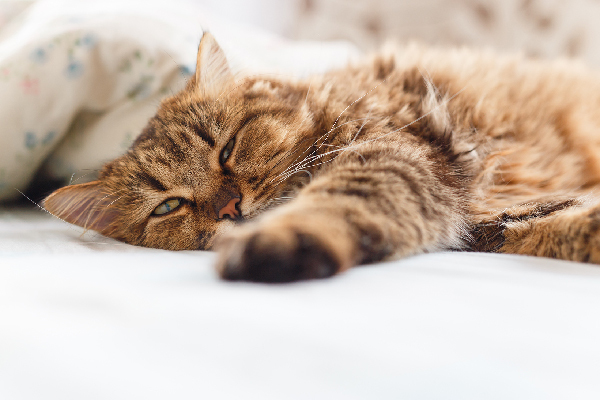 If heartworms grow to adulthood, cats can have acute symptoms including heart rhythm problems, blindness, convulsions, diarrhea, vomiting, and even sudden death. 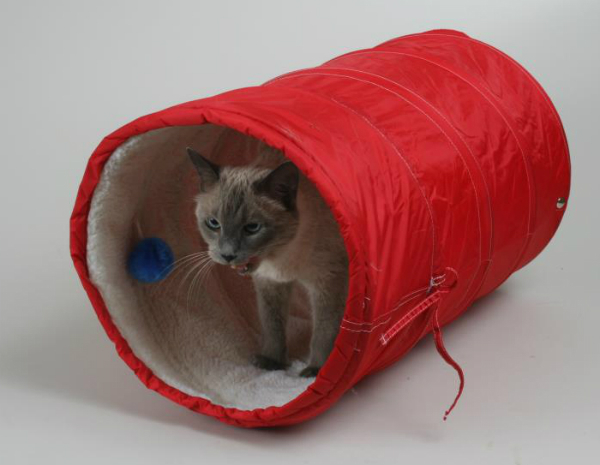 Even heartworm larvae can cause severe lung damage in cats. 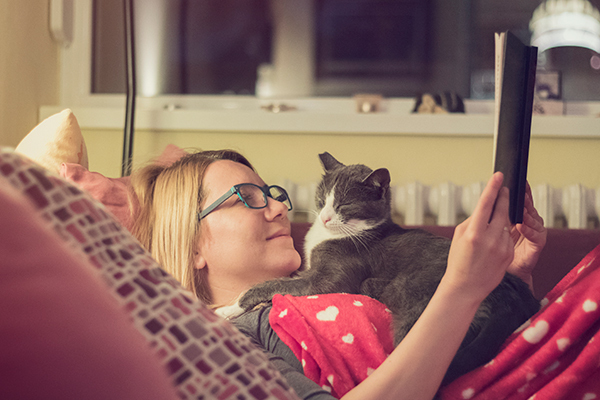 The first round of infection, when the larvae first make their way into the cat’s lungs, can cause a major inflammation response, resulting in symptoms that are usually misdiagnosed as asthma or allergic bronchitis. Veterinarians now call the array of symptoms associated with heartworm infections in cats Heartworm Associated Respiratory Disease (HARD). Cats with HARD will have periodic episodes of coughing, difficulty breathing, fainting, rapid heartbeat, and even convulsions or collapse, for the rest of their lives. The main tests used to detect the presence of heartworms are an antigen test and an antibody test, and both of these have limitations. Antigen tests only detect adult female or dying male worms, so immature worms or male-only infections won’t be detected. Antibody tests detect the body’s immune response to the parasites, and will detect infection earlier than the antigen tests. X-rays and ultrasound imaging are used to confirm infection. 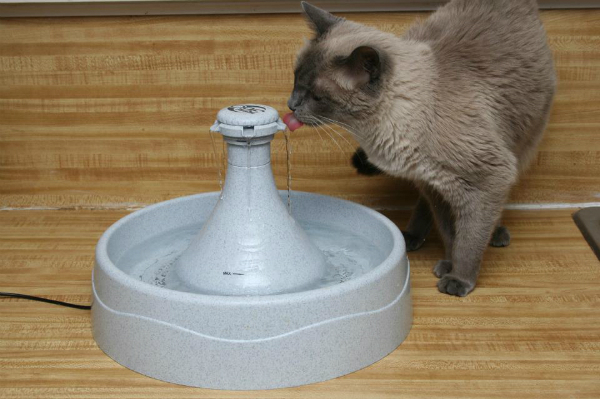 Some infected cats can fight off the infection and never have problems as a result. Others will need ongoing treatment, including steroids to treat lung inflammation, oxygen or fluid therapy, inhalers, and antibiotics. If the heartworms are preventing blood flow to vital organs or interfering with heart function, surgery can be performed to remove them — but it’s a very delicate and risky procedure. According to the American Heartworm Society, the FDA has approved four heartworm preventive products for use in cats: the oral medications Heartgard for Cats from Merial and Interceptor from Novartis; and the topical products Revolution from Pfizer and Advantage Multi for Cats. All of these can prevent development of adult heartworms if they’re used properly. Cats should be tested for antigens and antibodies before using heartworm preventives. For more information about heartworm in cats, visit the American Heartworm Society and Know Heartworms websites. You can also join Rainbolt in her quest to raise awareness about feline heartworm disease by checking out Nixie’s HEARTworm BEAT on Facebook. Do you have a cat with heartworms or HARD? What has it been like to live with one of these special kitties? What do you wish other cat caretakers knew about heartworms and the danger to cats? Please share your thoughts in the comments. Do Pets Need Year-Round Heartworm Protection?